Forget those fancy new yeeros joints. The Yeeros Shop has been keeping it old skool since 1976. That means hand cut chips cooked to order (adjusted to soft or extra crunchy if you ask nicely) wrapped up in butchers paper for takeaway. Yassss. 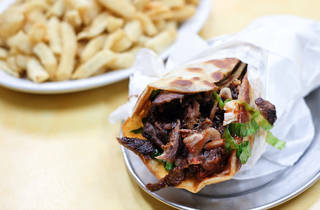 The menu includes old-fashioned hamburgers, steak sandwiches or good ol’ yeeros meat on chips aka the Halal snack pack. 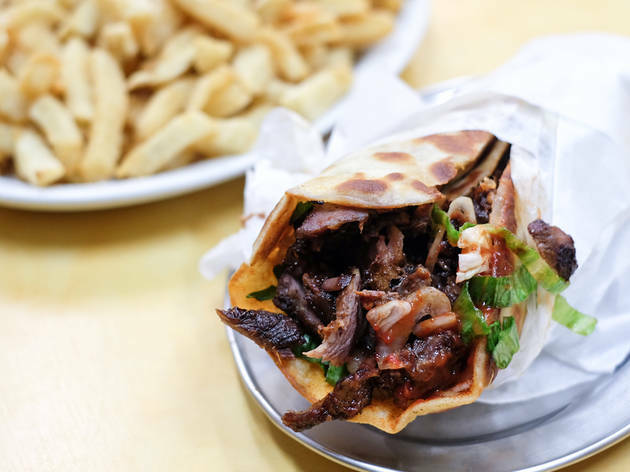 The lamb yeeros is what everyone’s ordering though, crispy fatty lamb bits jammed into grilled Greek pita bread with salad. Get the small chips and laugh with delirium at what passes as extra large in most other takeaways.